Cruise through the beautiful Arizona landscapes with a used Acura TLX from Acura North Scottsdale to experience classic TLX technology features for the price of a used car. Our Phoenix-area dealership has a wide selection of used vehicles with luxury details and innovative safety features to ensure a comfortable and high-tech ride. See our available inventory of used Acura TLX models below. If you aren’t sure which Acura is right for you, compare the TLX to other Acura sedans like the ILX and RLX. It’s good to know though that we aren’t the only ones excited about this model. Still haven’t made your decision? See what Edmunds.com has to say about the Acura TLX or compare it to the Audi A4! 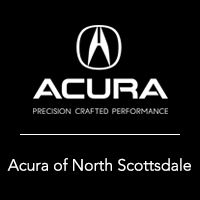 If you are ready to take the next step, contact our friendly staff at Acura North Scottsdale today to schedule a test drive near Peoria today!